Below are 5 tips to help you make delicious salsa every time and a recipe for Sol Cocina's famous Chipolte-Tomatillo Salsa. 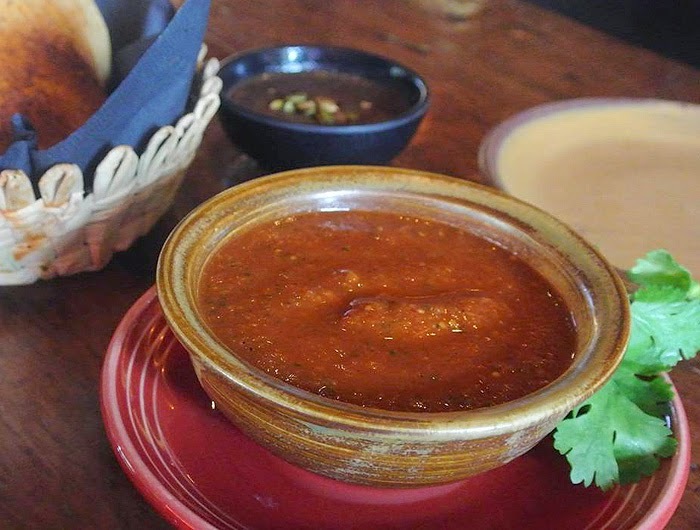 This is one of the table salsas served with every meal at SOL. It has a pleasant smoky-spicy combination from the roasted tomatillos and chipotle chiles. It’s a great dipping salsa for tostadas (SOL’s version of corn chips), or your favorite tortilla chip. 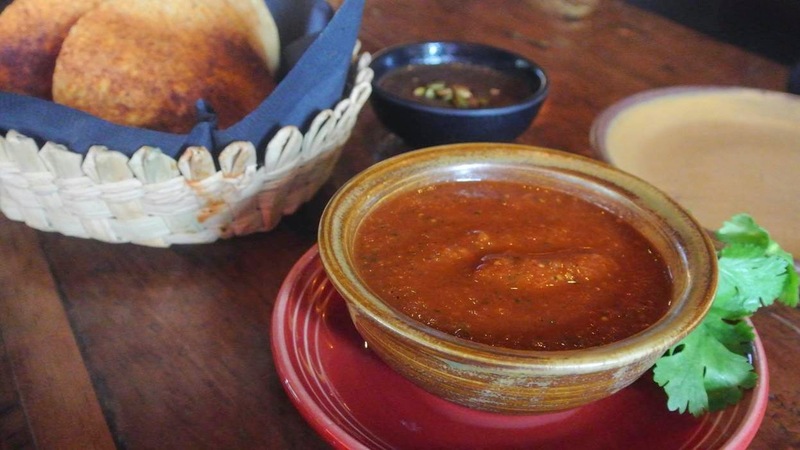 Aside from a good dipping salsa, it’s suitable for adding to almost any dish. The charring process is an important step in this recipe; don’t be afraid to let the vegetables blacken in spots and start to melt. 1) Use firm, ripe tomatoes. Farmers markets will have the best ones. Shop with your nose: they should smell great. 3) Always remove the seeds before making your salsa. Place the diced tomatoes in a colander to drain for a few minutes before combining with other ingredients. 4) Bring out the sweetness of ripe tomatoes by contrasting with spicy chiles, a good dose of salt and fresh-squeezed limes. 5) Add another textural and flavor element: diced red onion is classic but if onion isn’t your thing, try diced cucumbers, or even a bit of pineapple or mango. Heat a heavy cast-iron pan or griddle over medium heat. Line it with a sheet of aluminum foil and set the tomatoes, tomatillos and garlic directly on the foil. Leave the vegetables until they are well charred on one side, then turn and char on the other sides or until the vegetables begin to soften. The garlic will be done first; remove from pan, cool and peel. When the tomatoes and tomatillos are done, remove from the pan. Place roasted tomatoes, tomatillos, garlic and the remaining ingredients, except the water, in a food processor. Pulse until the salsa consistency is smooth, with some texture. Add water to thin if necessary. Taste for salt and chipotles. The salsa should be highly seasoned and medium-spicy. For added flavor, add a dash or two of blanco tequila to salsa once blended. Love, love, love salsa. I need to try your recipe. It's so easy to make salsa if you have the ingredients on hand. I HAVE to get out of the habit of buying pre-made salsa. Yum, saving this! Salsa is my favorite. My family loves salsa and I am always looking for a new recipe - thanks for sharing! These are great tips and this recipe looks delicious!